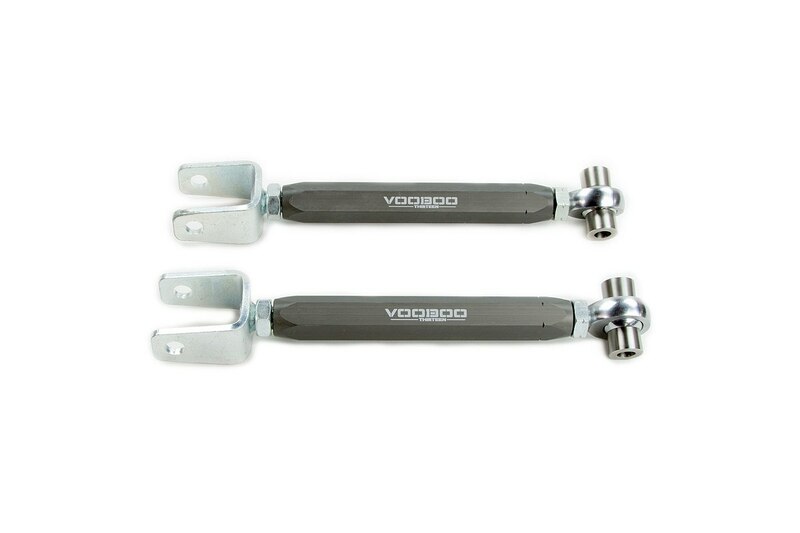 The Voodoo13 370Z 4140 Offset Tie Rod Extenders fit in between the inner tie rod and steering rack to allow the tie rods to travel further into the steering rack creating more steering lock. 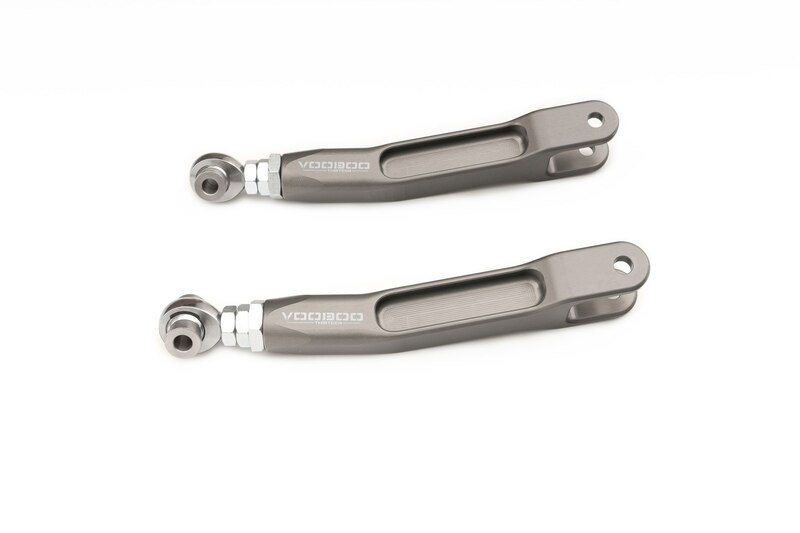 It also moves the tie rod position forward 1.38” to reduce the tendency to steer over center for high steering angle applications. 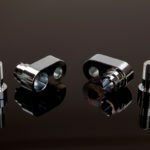 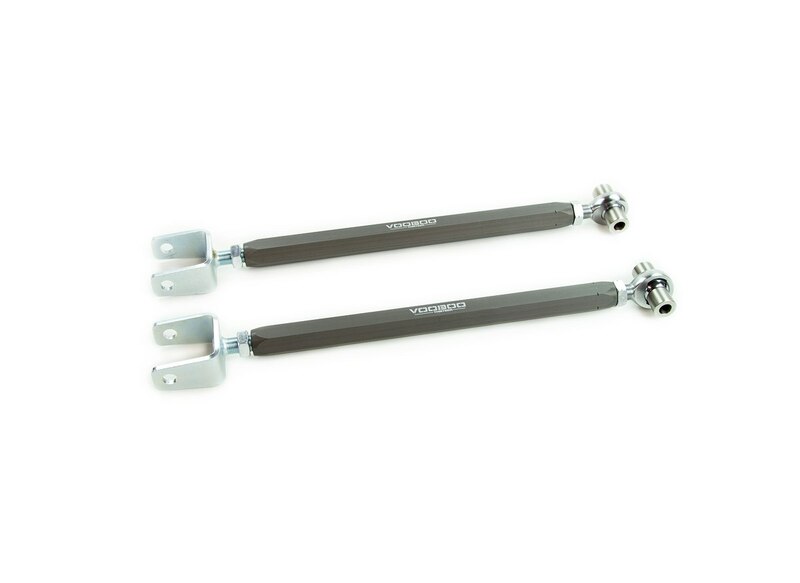 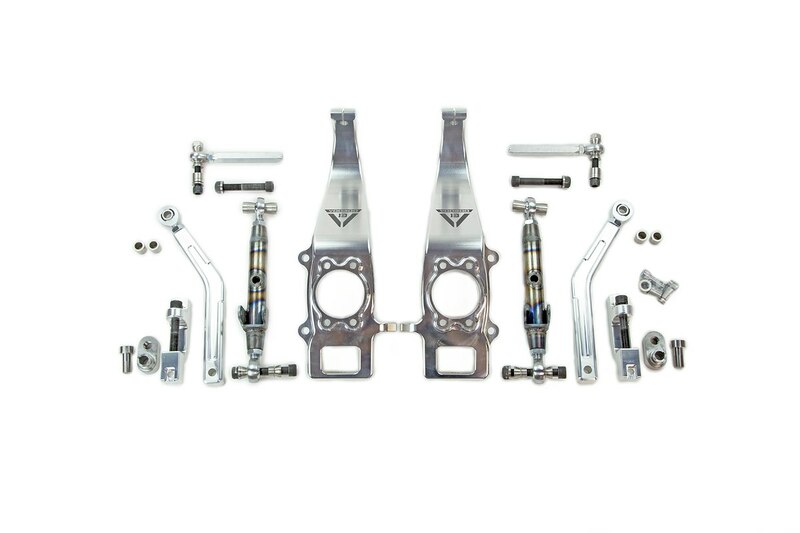 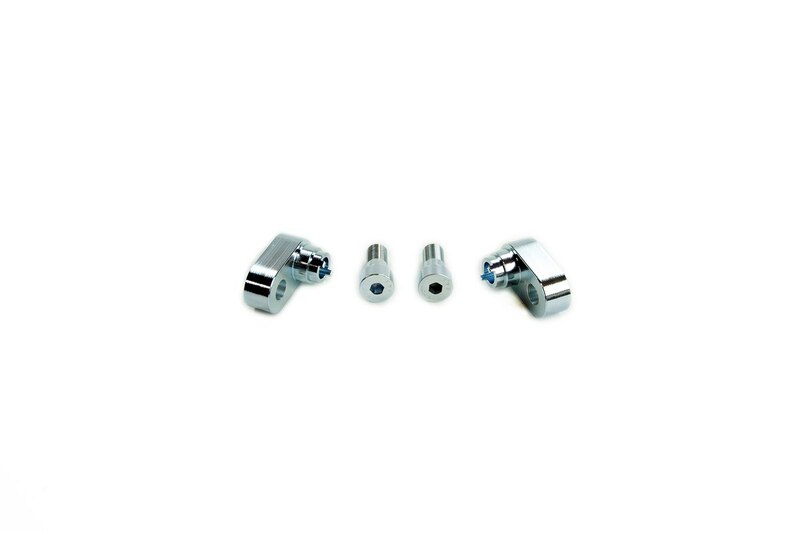 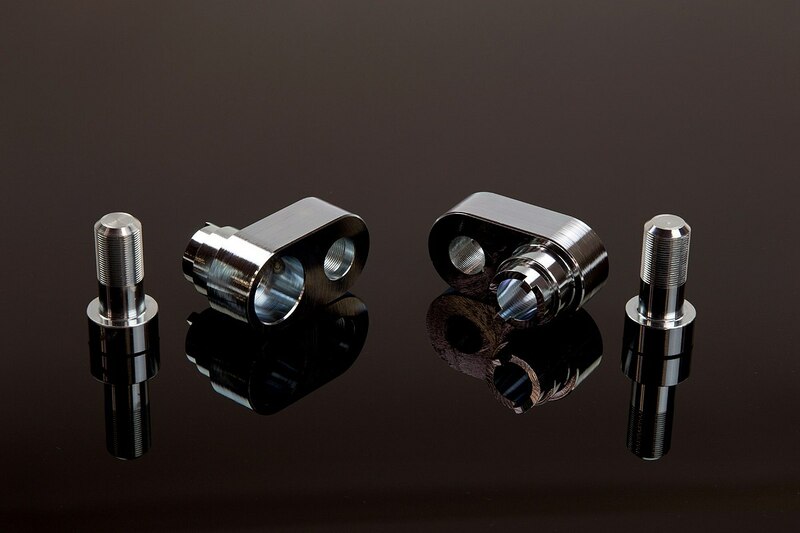 NOTE: These do space out 1.675″ so aftermarket adjustable tie rods/ends will be necessary.